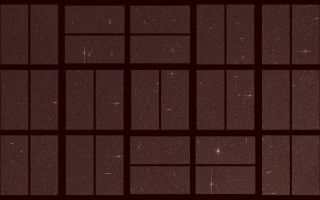 This space wallpaper by NASA's Kepler spacecraft shows the telescope's full field of view taken in a new demonstration mode in late October. This space wallpaper by NASA's Kepler spacecraft shows the telescope's full field of view taken in a new demonstration mode in late October. A new mission concept, dubbed K2, would continue Kepler's search for other worlds, and introduce new science observation opportunities.